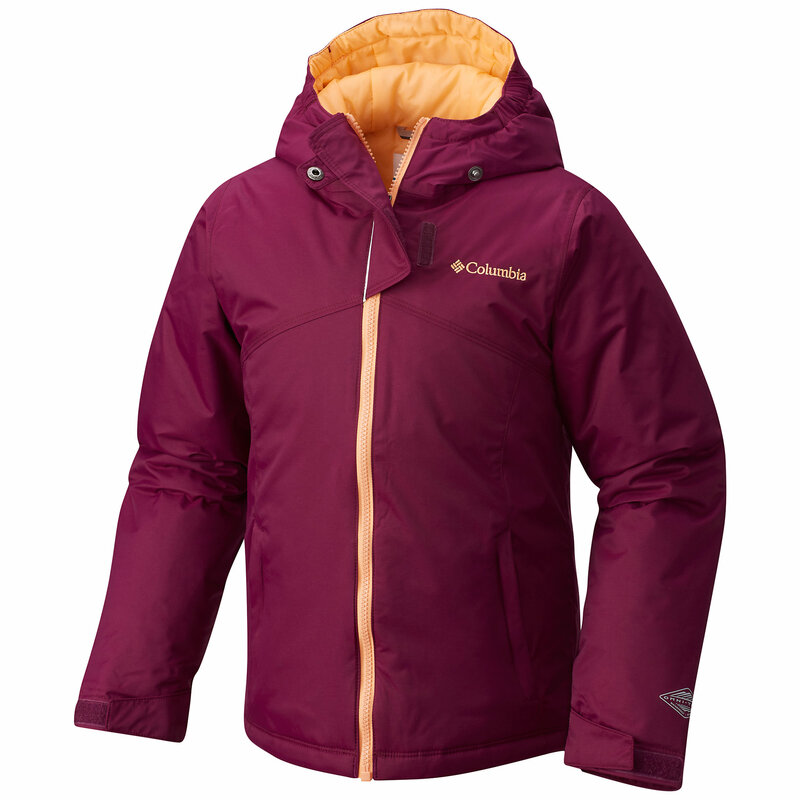 There's nothing like taking the Columbia Girls' Crash Out Jacket for a wintery weekend at a resort. 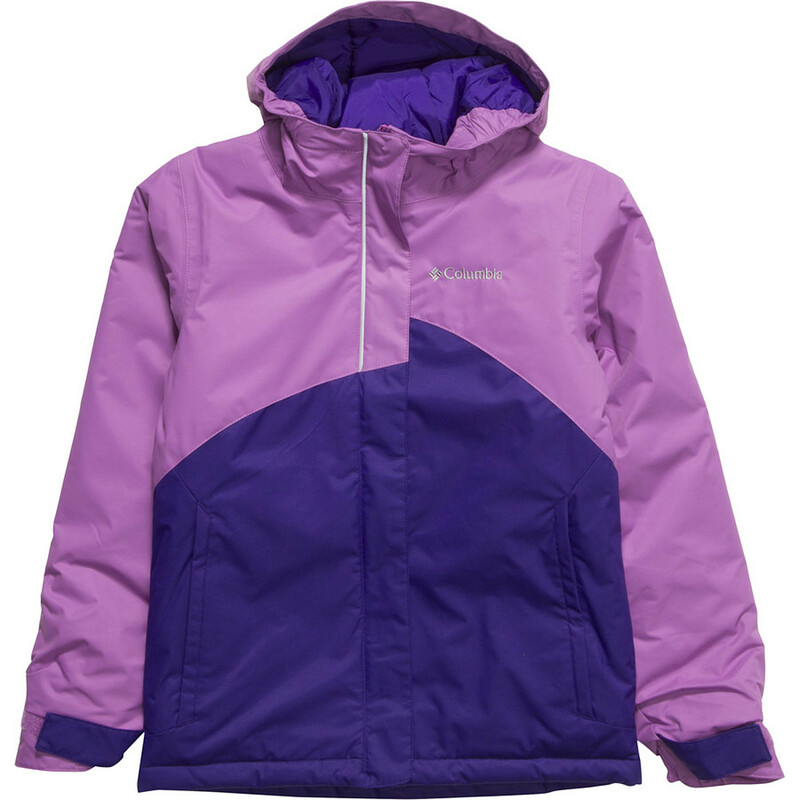 Its Omni-Tech membrane blocks wetness during snowstorms and remains breathable so your girl won't get soggy from the outside or the inside. 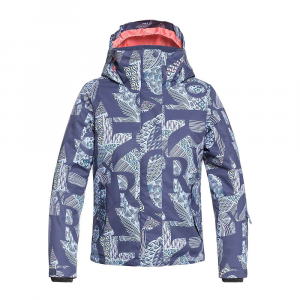 The 150g synthetic insulation keeps her warm without adding a ton of bulk, and the adjustable powder skirt blocks snow when your girl comes in contact with pesky snow snakes. 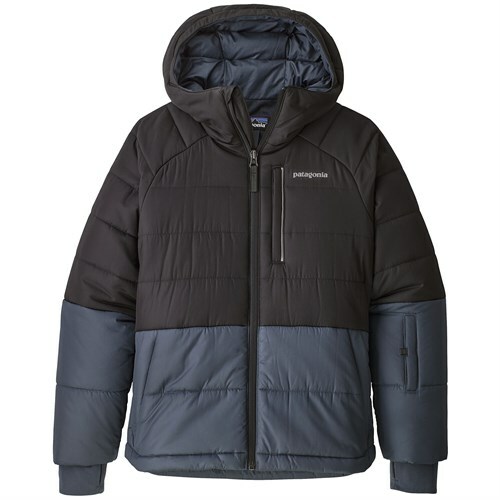 And the Outgrown grow system means this jacket is here to stay through multiple seasons. CLOSEOUTS . 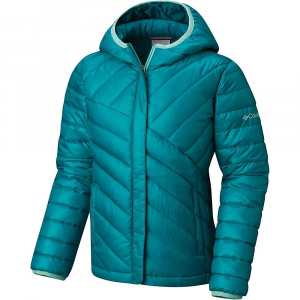 The ultimate in winter protection whether she's hitting the bunny slope or the big sledding hill, Columbia Sportswear's Crash Out jacket has a waterproof breathable membrane and tons of snow-ready features to keep your gal cozy and warm in chilly, snowy weather. Available Colors: SEA SALT PRINT, FUSE GREEN BUBBLE PRINT, LIGHT GRAPE/SEA SALT, AFTERGLOW/CLEAR BLUE. Sizes: 4/5, 6/6X, 7/8, 10/12, 14/16. 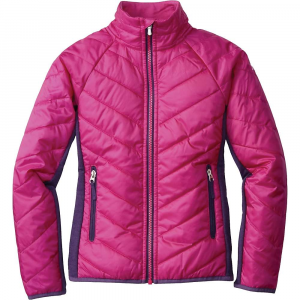 Girls can Crash Out and stay dry and warm in this smart jacket from Columbia with Omni-Tech waterproof protection and toasty Microtemp insulation. 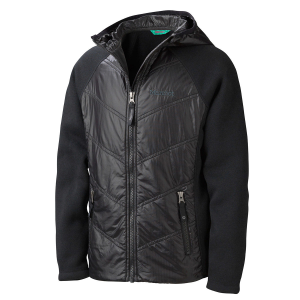 The Columbia Crash Out Jacket is not available from the stores we monitor. It was last seen January 9, 2018	at Backcountry.com.